The teddy bear. Time for a short history lesson from us here at Tenstickers - did you know that the Teddy bear was invented in honour of, and named after, former US president Theodore Roosevelt, after he refused to shoot a bear during a hunting trip? 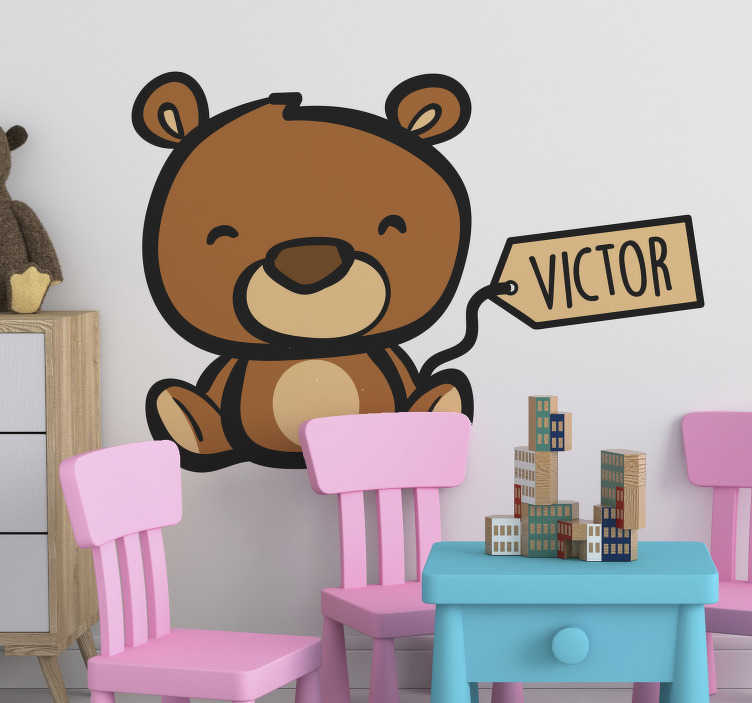 Yes, when this news reached a local toymaker; he knew he had to act and when we found out about that story - So did we: That´s why we have created this fantastic customisable teddy bear sticker, which we think might be perfect children´s bedroom decor - Who doesn´t love Teddy bears!